Stay at Viking - Where skiing is rewarded ... with cookies! Rent either The Farmhouse or The Apartment at Viking and you'll get to roll out of bed and hit the trails whenever you're ready. No packing up for the day, no hassles, no having to go anywhere - you're already here. After a day of skiing, sit by the fire and enjoy a game of chess, a good book, or the company of friends and family. Enjoy Viking Nordic at your own pace, knowing you don't have to drive anywhere until it's time to head home. 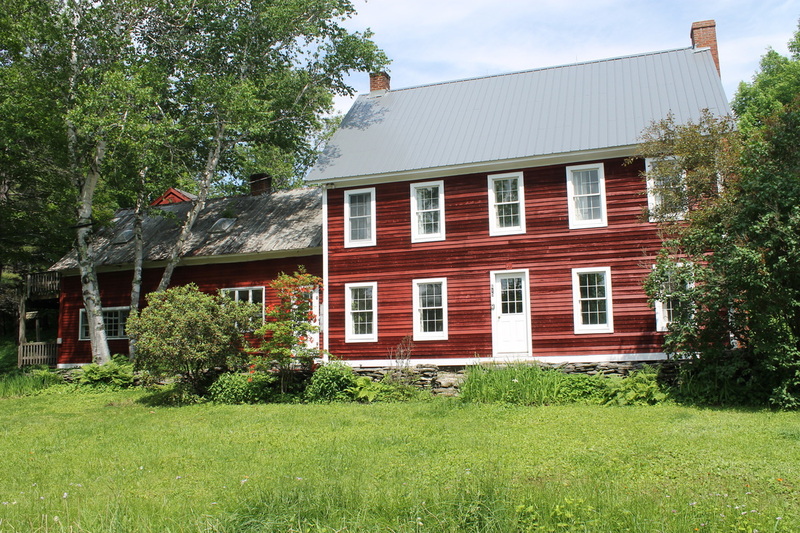 The Farmhouse is just a few short steps from our cross country ski trails. This warm, comfortable 1860's house has 4 bedrooms and sleeps 10 people. 3 baths, living room with fireplace, and a fully appointed kitchen with a washer/dryer. Cable TV and wireless internet included. One bedroom has two twin beds and bunk beds; perfect for kids. The other three rooms all have queen beds. Complimentary trail passes are included in the rental. Snuggle up and sleep well, another day of great skiing greets you in the morning. Click here for more information on the homeaway site: pictures, and availability calendar. Feel free to call us directly to book the house. To see pictures of the house and the apartment view the slideshow below, the house is first, the apartment pictures come after the house floor plan.